I’m sure everyone’s been in the situation where they forgot to print something they needed. Anytime you forget, it seems to be impossible to find a printer in time. Now, you can take your own personal printer with you anywhere. 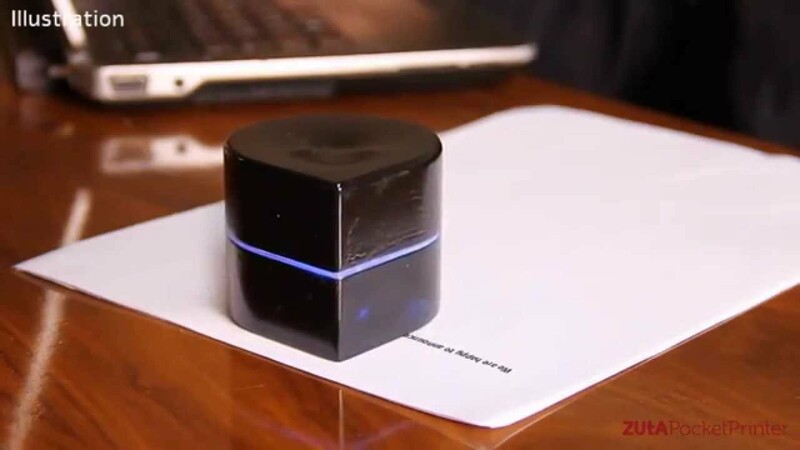 The ZUTA Robotic Printer is small enough to fit in the palm of your hand. The cube-sized printer can print on standard size (8x11) paper from any device with Wi-Fi. Now all you have to do is remember to carry blank paper with you. The battery lasts for a full hour or printing and prints up to 1 ½ pages a minute. It’s probably not a good idea to use this to print your midterm paper 5 minutes before class starts. Would I buy this? Yes! As a student, this would be a LIFESAVER. Ten more minutes of sleep gained by not going to the computer lab!! The Robotic Printer is available for $299.